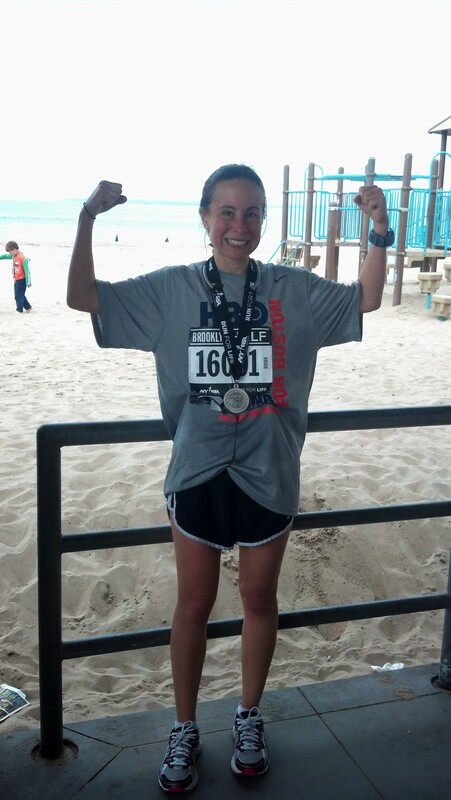 After an amazing run in the Brooklyn Half Marathon, I was ready to begin my festivities of eating and drinking within the confines of Tribeca greatness. 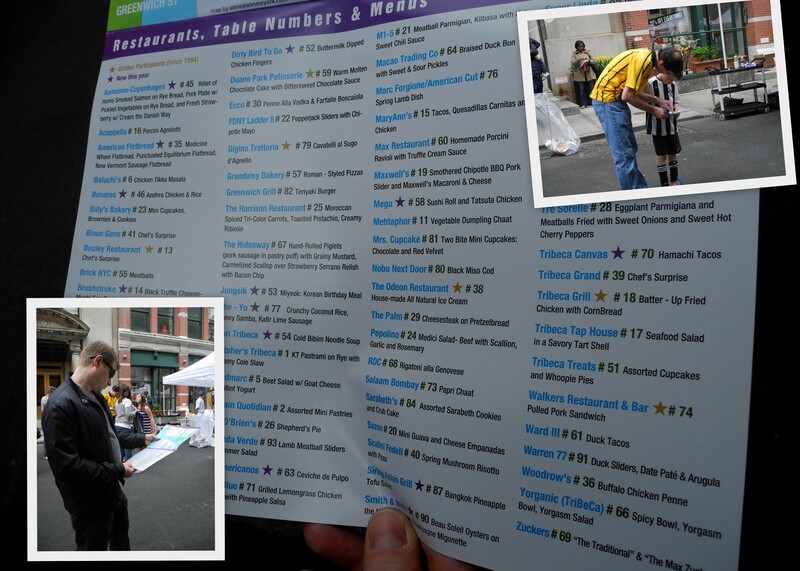 The Taste of Tribeca is like a neighborhood’s Restaurant Week on steroids. 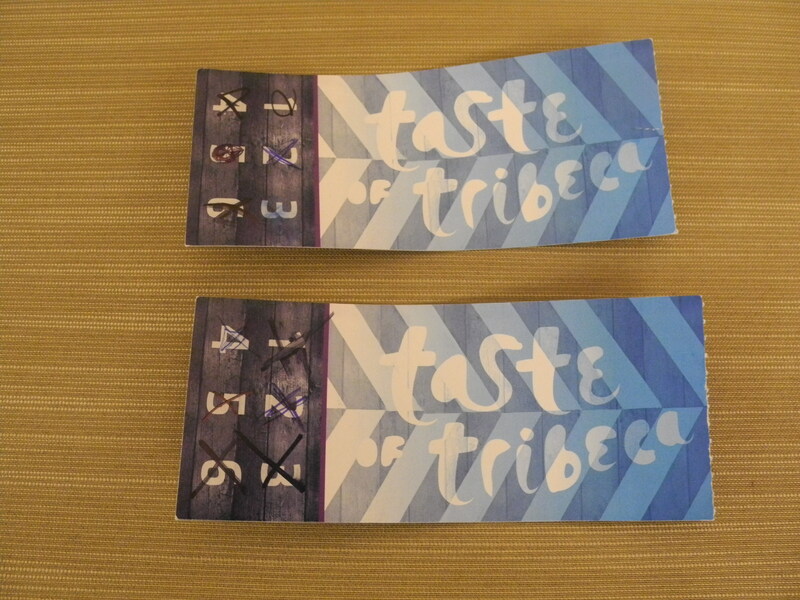 In exchange for only $40, the early bird special, you receive 6 tastings of your choice from any of the 75 or so restaurants with a domicile in Tribeca. Attend with a friend and you will have 12 things to try between the 2 of you! Thankfully you had 3.5 hours to this in. 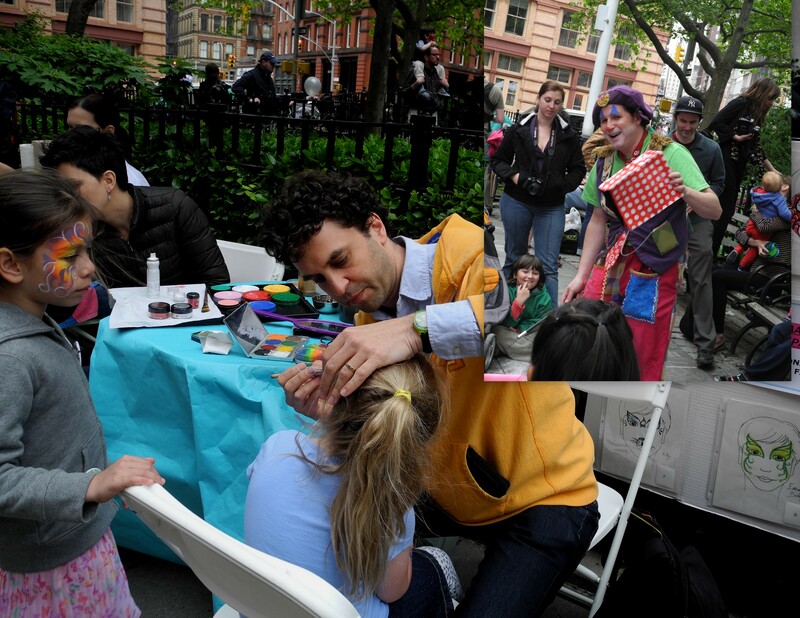 Enough time to walk around, allowing time for digestion and to enjoy the music and children’s entertainment on hand. 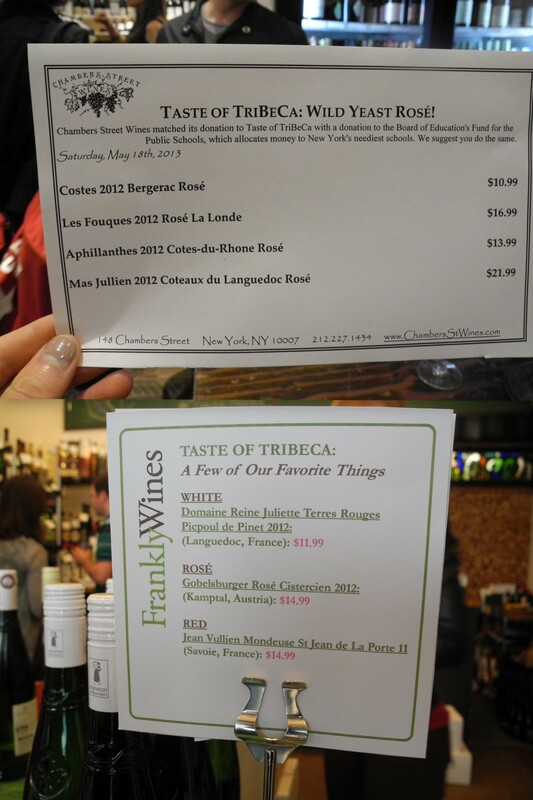 Also participating in the Taste of Tribeca were 4 local wine shops that held wine tastings all day. Together, my husband and I mapped out our day; we thought we’d have a few bites to refuel us after the run, check out 2 of the 4 wine stores, having the wine act as an aperitif, finish off the remainder of our tastings off with some lighter choices and some dessert and of course head back to the other 2 wine stores for the other wine tastings. As I mentioned earlier, we didn’t consume one after another. We did take a food break to check out the wine tastings – most of which was Rose – a perfect summer beverage. My and my husband’s favorite dishes are each from restaurants that we are aware of but for 2 different reasons had never been to. 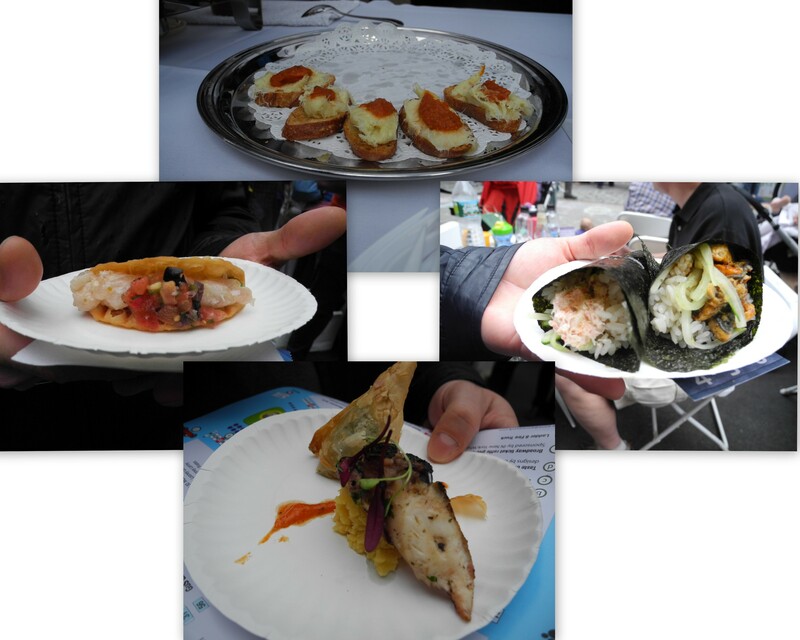 My favorite was the hamachi taco from Tribeca Canvas. I recently read a not so great review of the restaurant so I wasn’t exactly running there, but I will now! 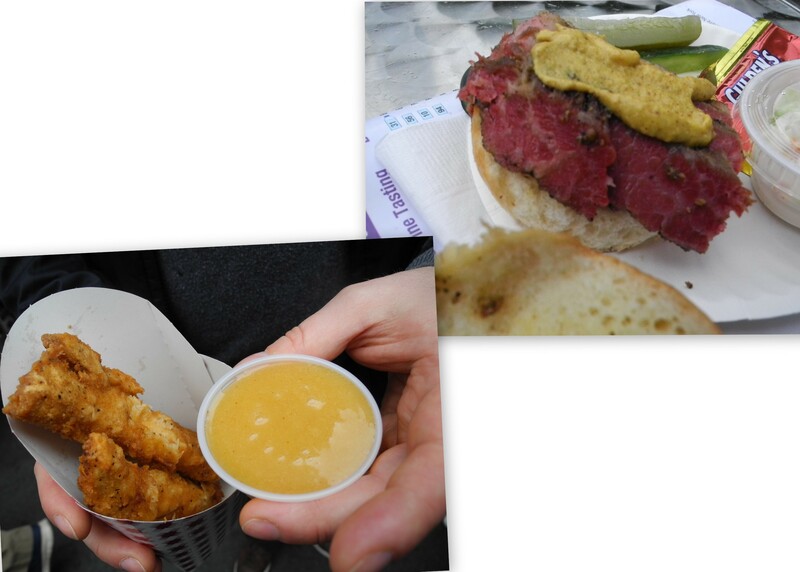 My husband’s favorite was the pastrami sandwich on rye from Kutcher’s Tribeca. Again, we had known of it and always kept it in the back of our minds but when choosing a place to eat, always chose somewhere else. We will surely make our way there sooner rather than later. 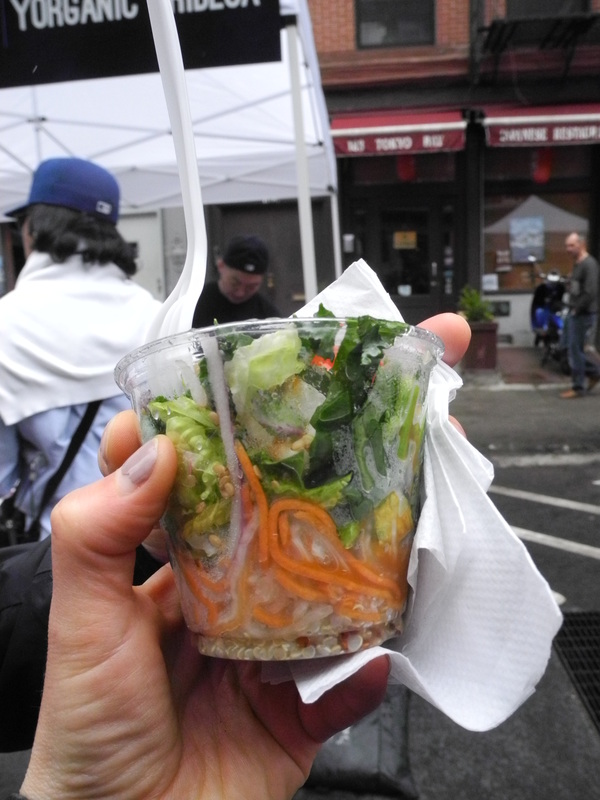 My 2 big surprises of the day were: a) the Yorgasm Salad from Yorganic – I had never heard of Yorganic before. I’m always looking for a healthy snack and I am already planning to swing by there this weekend after the gym! 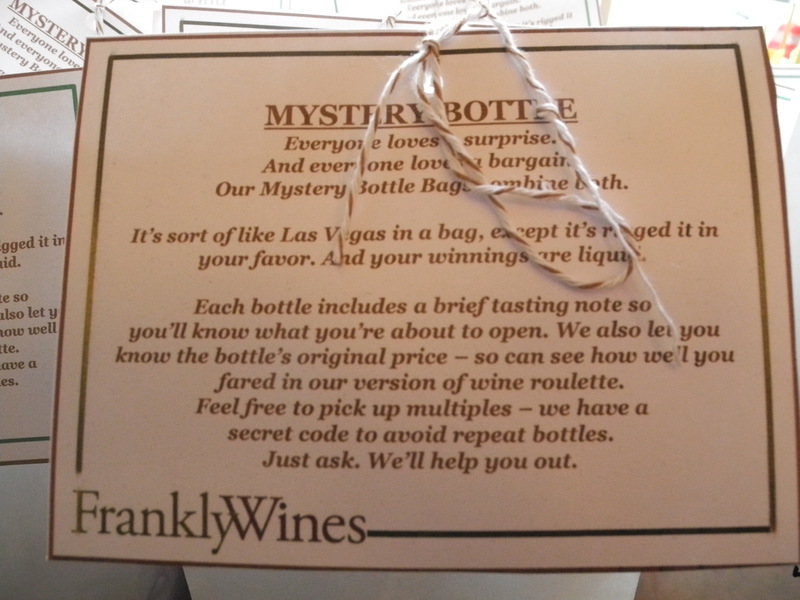 ; and b) the mystery wine bag at Frankly Wines on West Broadway. It is exactly what it sounds like. For $20, you receive a wrapped bottle of wine that you have no idea as to what is inside. It could be a red wine or a white and it could be a $20 bottle or it could be a $80 – it is just that – a mystery. Thankfully the rain tapered off as we needed to walk off our day of lusciousness and completion. 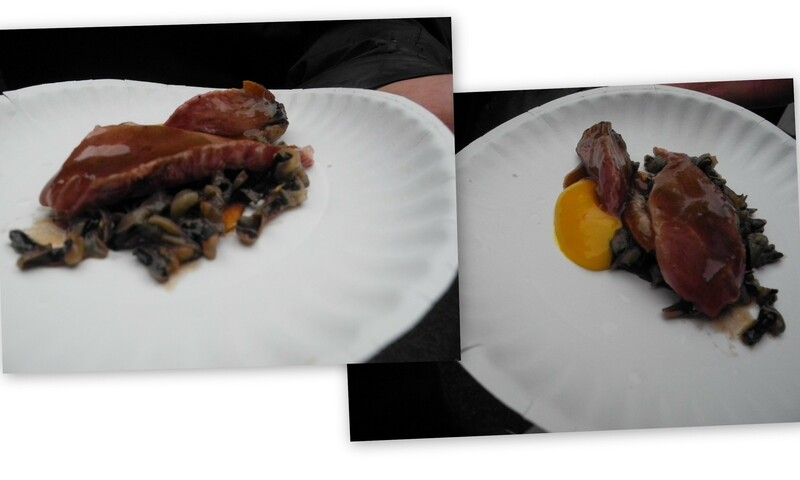 This entry was posted in hungry?, thirsty? and tagged Brooklyn Half, duck sliders, Frankly Wines, hamachi taco, Kutcher's Tribeca, rose wine, Taste of Tribeca, Tiny's, Tribeca Canvas, Warren 77, Yorganic. Bookmark the permalink.